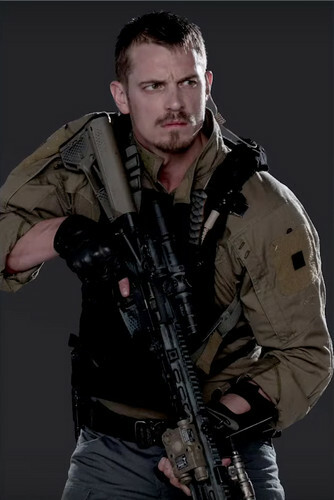 Character Promos - Joel Kinnaman as Rick Flag. Capped from the DC's 'Squad Up! Cosplay Contest' video.. Wallpaper and background images in the Suicide Squad club tagged: photo suicide squad movie 2016 character portrait promo joel kinnaman rick flag. This Suicide Squad photo contains 라이플 총병, 라이플 맨, 라이플 총 병, 녹색 베레모, 특수 부대, 엘리트 군인, 녹색 베 레모, 특수 부 대, 피로, 피로감, and 군복.